Timothy T. Yau, MD, is an Assistant Professor of Medicine in the Division of Nephrology at Washington University School of Medicine in St. Louis, MO. He completed his undergraduate and medical school training at St. Louis University, and subsequently completed residency in internal medicine, chief residency, and nephrology fellowship at Rush University Medical Center in Chicago, IL. He accepted a position at Washington University after fellowship, with a special interest in academic nephrology, medical education, and clinical inpatient nephrology. Dr. Yau’s interests include glomerular disease, renal pathology, acid-base and electrolyte abnormalities, and innovative medical education. He is an integral faculty member for the M2 renal pathophysiology course and has won two distinguished service teaching awards for his commitment to medical student education. In 2016, he accepted the position as Course Director for Washington University School of Medicine’s Practice of Medicine course, which is a year-long longitudinal course for 1st year medical students. In this curriculum, they are introduced to the clinical, professional, and communication skills and knowledge needed to become a competent and compassionate physician. 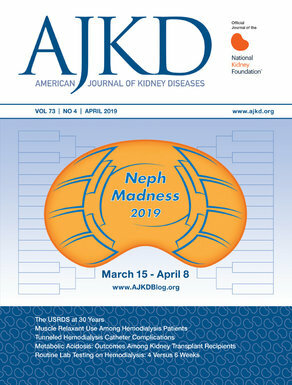 In 2015, he started the Washington University Nephrology Web Episodes Youtube series, a monthly videorecording geared towards nephrology trainees. This project was selected as one of the 2016 ASN Innovations in Kidney Education Contest winners.